Old Brodleians head to Hullensians on Saturday having been challenged by coaches Matt Smith and Danny Monk to stay unbeaten in Yorkshire One throughout November and December. 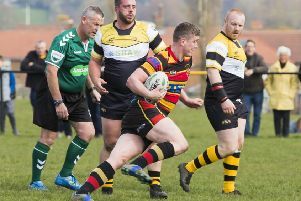 The Woodhead men made a good start with a 37-5 home win over Selby last Saturday but this weekend’s test promises to be much tougher, against fourth-placed Hullensians. Lee Scrimshaw is likely to be available but fellow forward Pete Williams and backs Dan Wood, Nathan Scott and Michael Briggs are likely to remain on the sidelines.